Like everyone who lifts weights, and undoubtedly everyone who competes in powerlifting – I want to get stronger. When you start your competitive journey (or sometimes mid-way through), you will decide to either take PED’s (Performance Enhancing Drugs) or, like me, not. For me it was an easy decision, getting stronger was a personal thing – I wanted to see how good I could get with what I was born with, i.e. naturally. Steroids etc. would make me feel like I was cheating myself, and my PB’s would always feel tainted. I don’t want to take anything away from people who take PED’s as it’s a personal thing as I said, as long as they don’t then claim to be ‘all natural bro’. I was always a ‘hard-gainer’ growing up, I think I’ve mentioned in previous articles that it took me six to seven years to put on a couple of stone. Getting to 120kg isn’t easy, and genetically not something that everyone can do. Apart from genetics, this is mainly because eating enough is hard work – the hardest part of strength training if you ask me. Now I’m getting older and my metabolism is slowing I’m finding the opposite and I struggle to keep my weight down. I’ve always taken supplements, some have not been as useful and I’ve stopped using them, others I believe have helped me – and I continue to use them now. So, for this article I’ll walk you through what I use on a daily basis, and some that I’ve taken in the past and since stopped, and their scientific effects on the body. 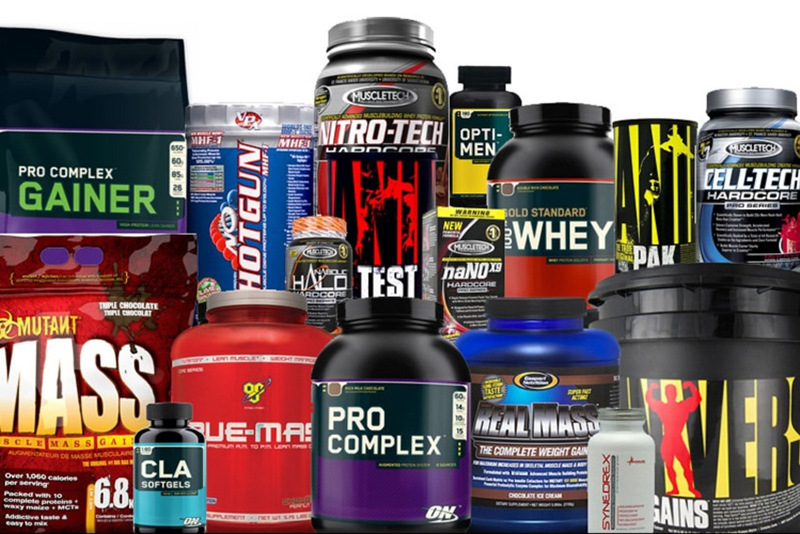 Protein powder is widely known as a dietary supplement for sports use and probably the most well researched and socially acceptable out of all the supplements on this list. Protein is a nutrient needed by the human body for growth and maintenance. Aside from water, proteins are the most abundant kind of molecules in the body. Protein can be found in all cells of the body and is the major structural component of cells, especially muscle – this also includes body organs, hair and skin. Proteins are also used in membranes, such as glycoproteins. When broken down into amino acids, they are used as precursors to nucleic acid, co-enzymes, hormones, immune response, cellular repair, and other molecules essential for life. Additionally, protein is needed to form blood cells. During human digestion, proteins are broken down in the stomach to smaller polypeptide chains via hydrochloric acid and protease actions. This is crucial for the absorption of the essential amino acids that cannot be bio-synthesised by the body. There are nine essential amino acids which humans must obtain from their diet in order to prevent protein-energy malnutrition and resulting death. They are phenylalanine, valine, threonine, tryptophan, methionine, leucine, isoleucine, lysine, and histidine. There has been debate as to whether there are 8 or 9 essential amino acids. The consensus now seems to lean towards 9 since Histidine is not synthesised in adults. 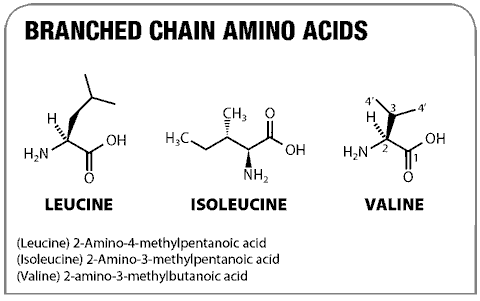 There are five dispensable amino acids which humans are able to synthesize in the body. These five are alanine, aspartic acid, asparagine, glutamic acid and serine. There are six conditionally essential amino acids whose synthesis can be limited under special pathophysiological conditions, such as prematurity in the infant or individuals in severe catabolic distress. These six are arginine, cysteine, glycine, glutamine, proline and tyrosine. Inclusion criteria required studies to recruit healthy adults less than 50 years of age and to evaluate the effects of protein supplements alone or in combination with carbohydrate on performance metrics including time-to-exhaustion, time-trial or isometric or isokinetic muscle strength and markers of muscle damage and soreness. Twenty-seven articles were identified of which 18 dealt exclusively with ingestion of protein supplements to reduce muscle damage and soreness and improve recovery of muscle function following exercise, whereas the remaining 9 articles assessed muscle damage as well as performance metrics during single or repeat bouts of exercise. Papers were evaluated based on experimental design and examined for confounders that explain discrepancies between studies such as dietary control, training state of participants, sample size, direct or surrogate measures of muscle damage, and sensitivity of the performance metric. High quality and consistent data demonstrated there is no apparent relationship between recovery of muscle function and ratings of muscle soreness and surrogate markers of muscle damage when protein supplements are consumed prior to, during or after a single bout of endurance or resistance exercise. There also appears to be insufficient experimental data demonstrating ingestion of a protein supplement following a bout of exercise attenuates muscle soreness and/or lowers markers of muscle damage. However, beneficial effects such as reduced muscle soreness and markers of muscle damage become more evident when supplemental protein is consumed after daily training sessions. Furthermore, the data suggest potential ergogenic effects associated with protein supplementation are greatest if participants are in negative nitrogen and/or energy balance. Overwhelmingly, studies have consistently demonstrated the acute benefits of protein supplementation on post-exercise muscle anabolism, which, in theory, may facilitate the recovery of muscle function and performance. However, to date, when protein supplements are provided, acute changes in post-exercise protein synthesis and anabolic intracellular signalling have not resulted in measurable reductions in muscle damage and enhanced recovery of muscle function. Limitations in study designs together with the large variability in surrogate markers of muscle damage reduced the strength of the evidence-base. Studies recruiting healthy adults between 18 and 50 years of age that evaluated the effects of protein supplements alone or in combination with carbohydrate on a performance metric (e.g., one repetition maximum or isometric or isokinetic muscle strength), metrics of body composition, or measures of aerobic or anaerobic power were included in this review. All papers were examined for experimental design confounders such as dietary monitoring, history of physical training (i.e., trained and untrained), and the number of participants studied. Studies were also evaluated based on the intensity, frequency, and duration of training, the type and timing of protein supplementation, and the sensitivity of the test metrics. For untrained individuals, consuming supplemental protein likely has no impact on lean mass and muscle strength during the initial weeks of resistance training. However, as the duration, frequency, and volume of resistance training increase, protein supplementation may promote muscle hypertrophy and enhance gains in muscle strength in both untrained and trained individuals. Evidence also suggests that protein supplementation may accelerate gains in both aerobic and anaerobic power. This review suggests that protein supplementation may enhance muscle mass and performance when the training stimulus is adequate (e.g., frequency, volume, duration), and dietary intake is consistent with recommendations for physically active individuals. Contrary to the above findings, Kafatos A. et al (2008) & Delimaris I. et al conducted a study and found that despite the fact that short-term high protein diet could be necessary in several pathological conditions (malnutrition, sarcopenia, etc. ), it is evident that “too much of a good thing” in diet could be useless or even harmful for healthy individuals. 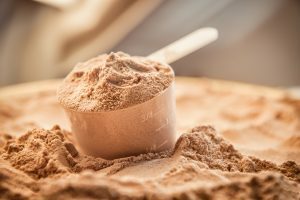 It is suggested that many adults or even adolescents (especially athletes or body-builders) self-prescribe protein supplements and overlook the risks of using them, mainly due to ‘misguided’ beliefs in their performance-enhancing abilities. Individuals who follow these diets were therefore seen to be at risk. Extra protein was found to be not used efficiently by the body and may impose a metabolic burden on the bones, kidneys, and liver. Moreover, high-protein/high-meat diets may also be associated with increased risk for coronary heart disease due to intakes of saturated fat and cholesterol or even cancer. It was suggested that guidelines for diet should adhere closely to what has been clinically proven, and by this standard there was currently no basis to recommend high protein/high meat intake above the recommended dietary allowance for healthy adults. Apart from protein powder, creatine is perhaps the next most well-known supplement (and possibly the most ‘suspicious’ looking). It used to be thought that creatine caused damage to the kidneys and other organs, and that prolonged use would be detrimental to health. As you will see, this has been widely disproven. I started taking creatine when I was in my early 20’s (when the above was still thought true), although I didn’t know the full effects or reasons I was taking it. Just that ‘it would help’. Over the years creatine monohydrate has become the supplement of choice for many athletes striving to improve sports performance. Recent data indicate that athletes may not be using creatine as a sports performance booster per se but instead use creatine chronically as a training aid to augment intense resistance training workouts. Back in 1912, researchers from Harvard University first noticed that ingesting creatine could dramatically boost reserves in muscle tissue. Soon after, scientists discovered creatine phosphate and identified it as a key player in the metabolism of skeletal muscle. But it took another 80 years for it to enter popular culture. Creatine first came to the public’s attention after the 1992 Barcelona Olympics. It was reported that Great Britain’s 100m sprinter Linford Christie used the legal substance, helping him clinch the 100m gold, along with fellow Brits 400m hurdles gold winner Sally Gunnell and 110m hurdler Colin Jackson. Shortly afterwards sports nutrition companies began producing the compound commercially and the supplement has boomed ever since. Numerous studies have evaluated the combined effects of creatine supplementation and resistance training on muscle strength and weightlifting performance, these data have rarely been analysed collectively. One review evaluated the effects of creatine supplementation on muscle strength and weightlifting performance when ingested along with resistance training found that; of the 22 studies reviewed, the average increase in muscle strength (1, 3, or 10 repetition maximum [RM]) following creatine supplementation plus resistance training was 8% greater than the average increase in muscle strength following placebo ingestion during resistance training (20% vs. 12%). Similarly, the average increase in weightlifting performance (maximal repetitions at a given percent of maximal strength) following creatine supplementation plus resistance training was 14% greater than the average increase in weightlifting performance following placebo ingestion during resistance training (26% vs. 12%). The increase in bench press 1RM ranged from 3% to 45%, and the improvement in weightlifting performance in the bench press ranged from 16% to 43%. Therefore there is substantial evidence to indicate that creatine supplementation during resistance training is more effective at increasing muscle strength and weightlifting performance than resistance training alone, although the response is highly variable. It was also thought for a long time that creatine could cause hydration issues and cramping, amongst other things. I often thought this myself as I had experienced both of these ‘side-effects’, although it is highly likely these were due to other factors. A 2009 systematic review by Lopez RM et al (2009) discredited concerns that creatine supplementation could affect hydration status and heat tolerance and lead to muscle cramping and diarrhoea. Whilst we’re talking about food, it’s worth remembering for those of you who like your steak well-done that approximately 30% of meat-bound creatine can be lost in exudate or degrade into (the biologically inactive) creatinine when cooking to medium-well. A creatine molecule stores high-energy phosphate groups in the form of phosphocreatine. Phosphocreatine releases energy to aid cellular function during stress. This effect causes strength increases after creatine supplementation, and can also benefit the brain, bones, muscles, and liver. Most of the benefits of creatine are a result of this mechanism. When creatine is absorbed it pulls water in with it, causing cells to swell. This ‘cell volumisation’ is known to promote a cellular anabolic state associated with less protein breakdown and increased DNA synthesis. In adults who are supplementing creatine, this water can add up to 2kg to your bodyweight as lean mass. Creatine, which is synthesised in the liver and kidneys, is transported through the blood and taken up by tissues with high energy demands, such as the brain and skeletal muscle, through an active transport system. The concentration of ATP in skeletal muscle is usually 2–5 mM, which would result in a muscle contraction of only a few seconds. Fortunately, during times of increased energy demands, the phosphagen (or ATP/PCr) system rapidly resynthesises ATP from ADP with the use of phosphocreatine (PCr) through a reversible reaction with the enzyme creatine kinase (CK). I was taking glutamine as a supplement for a long time, believing that it was helping with such things as protein synthesis and muscle recovery. Indeed, it’s generally touted as a muscle builder, but has not been proven to enhance muscle building in healthy individuals; only those suffering from physical trauma such as burns or muscular wounds (knife wounds) or in disease states in which muscle wasting occurs, such as AIDS. In these individuals, however, glutamine is effective at building muscle and alleviating a decrease in muscle mass typical of the ailment. Glutamine is one of the 20 naturally occurring amino acids in dietary protein, specifically it is a conditionally essential amino acid (being elevated to essential during periods of disease and muscle wasting typical of physical trauma – as mentioned above). Studies using glutamine in otherwise healthy persons and investigating either muscle protein synthesis or lean mass gains have noted a failure with 900 mg/kg lean mass (placebo being 900mg/kg maltodextrin) in youth paired with resistance training. In relation to power output, In the Strength & Conditioning Journal (2002) Antonio J, et al. showed that 300 mg/kg glutamine ingestion in otherwise healthy weightlifters also failed to modify power output more than placebo. The addition of glutamine supplementation to an exercise regime has also failed to outperform placebos in reducing fat mass. There are papers out there that show some benefits however, such as one regarding muscle protein synthesis, by MacLennan PA et al (1987). This does show that glutamine is an amino acid intimately linked in vitro (biological molecules outside their normal biological context), with muscle homeostasis and muscle protein synthesis, in which a surplus causes anabolism and prevents breakdown while a deficit causes catabolism. Interestingly, this correlation has also been seen in vivo (whole organisms/animals) when glutamine is infused, showing there may be some benefit in humans. When looking at cellular cultures and isolated cells, glutamine appears to dose-dependently increase muscle protein synthesis. 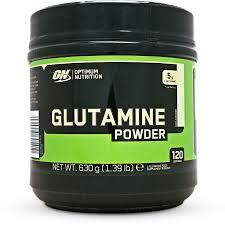 When glutamine is increased in the blood via injections, this relationship is still observed. In vitro, glutamine is also known to reduce the rates of leucine oxidation and increase the deposition of leucine, which increases the effects of leucine in a skeletal muscle cell. Glutamine is a very effective intestinal and immune system health compound, as these cells use glutamine as the preferred fuel source rather than glucose. As GLN shares the transporters with other amino acids, enhanced GLN intake may impair amino acid distribution among tissues and their absorption in the gut and kidneys. GLN supplementation may impair synthesis of endogenous GLN and enhance glutamate (neuro-transmitter, too much of which can lead to seizures and the death of brain cells) and ammonia production. GLN supplementation may impair ammonia detoxification and negatively affect the role of GLN as the carrier of ammonia among tissues. increased plasma levels of GLN, glutamate, citrulline, ornithine, arginine, and histidine and decreased levels of valine, leucine, isoleucine, glycine, threonine, serine, and proline are reported. As GLN has immunomodulating properties, the effect of chronic GLN consumption on the immune system needs to be assessed. As if all the above isn’t bad enough, due to the adaptive response of the body to enhanced GLN consumption, the withdrawal of GLN may enhance the risk of health problems resulting from GLN deficiency. It was concluded that enhanced intake of GLN has substantial side effects, and further long-term studies should be performed to justify chronic consumption of a GLN-enriched diet. Taurine may well be the least well-known supplement on this list, however it is a common ingredient in energy drinks such as Red Bull. Although taurine is an acid containing an amino group, it is not an amino acid in the usual biochemical meaning of the term, which refers to compounds containing both an amino and a carboxyl group. I’ve been supplementing with taurine for a while now, and honestly without really knowing why. I remember reading the sales & marketing information on the selling companies website at the time and thinking that it would be useful, but that information was mostly forgotten and it slipped into habit. Taurine primarily acts as a lipid/membrane stabiliser in the body and can aid various anti-oxidant defence systems. It also has many other fundamental biological roles, such as conjugation of bile acids, antioxidation, osmoregulation, membrane stabilization, and modulation of calcium signalling. It is essential for cardiovascular function, and development and function of skeletal muscle, the retina, and the central nervous system. Taurine exerts most of its benefits vicariously through other compounds in the body, but exerts some of its own on a cellular level. It is also being heavily researched as an anti-diabetic compound due to its actions on organs of the body of most concern to diabetics (kidney, eye, nerve health) as well as controlling blood sugar while reducing some forms of insulin resistance. Like I said earlier, you may well have heard of Taurine from it’s inclusion in energy drinks, the major impetus behind the rise in energy drink popularity among adults is their perceived ability to heighten mental alertness, improve physical performance and supply energy. However, accompanying the exponential growth in energy drink usage have been recent case reports and analyses from the National Poison Data System (NPDS) in the USA and the National Poisons Information Service (NPIS) in the UK, raising questions regarding the safety of energy drinks. Most of the safety concerns have centred on the effect of energy drinks on cardiovascular and central nervous system function. Although the effects of caffeine excess have been widely studied, little information is available on potential interactions between the other active ingredients of energy drinks and caffeine. One of the active ingredients often mentioned as a candidate for interactions with caffeine is taurine. Although taurine is considered a conditionally essential nutrient for humans and is thought to play a positive key role in several human diseases, clinical studies evaluating the effects of taurine are limited. However, in a review regarding possible interactions between caffeine and taurine, it is concluded that taurine should neutralise several untoward effects of caffeine excess. In agreement with this conclusion, the European Union’s Scientific Committee on Food published a report in March 2003 summarising its investigation into potential interactions of the ingredients in energy drinks. At the cardiovascular level, they concluded that “if there are any interactions between caffeine and taurine, taurine might reduce the cardiovascular effects of caffeine.” Although these interactions remain to be further examined in humans, the physiological functions of taurine appear to be inconsistent with the adverse cardiovascular symptoms associated with excessive consumption of caffeine-taurine containing beverages. This will be of particular importance and interest if you are a coffee lover (I’m not), or if you regularly drink energy drinks with taurine & caffeine in. Dosages between 500mg-2,000mg have shown efficacy, and the upper limit for toxicity is placed at a much greater level meaning that high doses are well-tolerated. To put this into understandable terms, the upper limit for which one can be relatively assured no side effects will occur over a lifetime has been suggested to be 3g a day. You will notice that this is substantially less than the dosages for all the other supplements, and if you buy a bag/pouch/tub of it you will notice that it comes with a scoop so small it’s hard to pick up and use (a ‘pinch’ is more than enough). One study using 2,000mg taurine paired with 3,200mg BCAAs (to be taken thrice daily for two weeks prior to physical testing and four days after) noted that the combination of both together, but interestingly neither placebo nor either supplement in isolation, was able to reduce muscle soreness. Taurine at 1,000mg taken 2 hours prior to exercise has been implicated in improving performance on a 3km time trial in trained athletes, improving time by 1.7% without significantly affecting heart rate or oxygen uptake. I have used BCAA’s previously, although I stopped due to literature I read at the time (2/3 years ago) saying that they were not a useful supplement for my goals. In theory they sound great, and may well be a valid addition to many people’s daily intake – that of course is up to the individual. Going back to a previous article, if you have trouble taking on as much water as you should daily, then this may well be a good way to help up that intake. Leucine plays an important role in muscle protein synthesis, while isoleucine induces glucose uptake into cells. Further research is stated as being needed to determine valine’s role in a BCAA supplement. It is worth noting also, that Leucine is available as a separate supplement which many body-builders utilise. 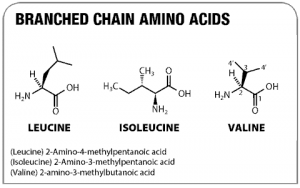 Since the 1980’s there has been high interest in branched-chain amino acids (BCAA’s) by sports nutrition scientists. The metabolism of BCAA is involved in some specific biochemical muscle processes and many studies have been carried out to understand whether sports performance can be enhanced by a BCAA supplementation. However, many of these researches have failed to confirm this hypothesis. Thus, in recent years investigators have changed their research target and focused on the effects of BCAA on the muscle protein matrix and the immune system. Data shows that BCAA supplementation before and after exercise has beneficial effects for decreasing exercise-induced muscle damage and promoting muscle-protein synthesis. Muscle damage develops delayed onset muscle soreness (DOMS): a syndrome that occurs 24-48 hours after intensive physical activity that can inhibit athletic performance. In certain studies, it has been shown that for people with low dietary protein intake, BCAA supplementation can substitute for protein and promote muscle protein synthesis and increase muscle growth over time. This is not recommended, as protein sources for food will always be superior. Supplementation can also be used to prevent fatigue in novice athletes. The key word here is ‘novice’, as a lot of research shows that in more trained individuals the fatigue mentioned (DOMS) is not a factor. Other recent works indicate that BCAA supplementation recovers peripheral blood mononuclear cell proliferation in response to mitogens after a long distance intense exercise, as well as plasma glutamine concentration. The BCAA also modifies the pattern of exercise-related cytokine production, leading to a diversion of the lymphocyte immune response towards a Th1 type. 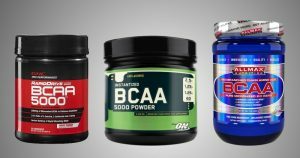 According to these findings, it is possible to consider the BCAA as a useful supplement for muscle recovery and immune regulation for endurance, or prolonged sports events. A decrease in fatigue (mental fatigue when measured after the workout) also results when BCAA supplementation is taken during exercise at a dose above 10g or so. Some investigators believe the reason for this is that increased levels of serotonin may cause fatigue. During prolonged aerobic endurance exercise, muscle glycogen may become depleted and the muscle may increase its reliance on BCAA for fuel, decreasing the plasma BCAA:fTRYP ratio. Because BCAA compete with fTRYP for entry into the brain, a low BCAA:fTRYP ratio would facilitate the entry of fTRYP to the brain and the formation of serotonin. Hypothetically, BCAA supplementation may delay central nervous system fatigue and enhance performance in prolonged aerobic endurance events by increasing the BCAA:fTRYP ratio and mitigating the formation of serotonin. Mixed effects have been noted on power output, but when it does occur it is not a per se increase in power output but secondary to reduced muscular soreness after repeated exercise. This may be more indicative of anti-fatigue effects than of genuine power output improvement, meaning that athletes are able to push harder and perform better due to a lack of soreness. 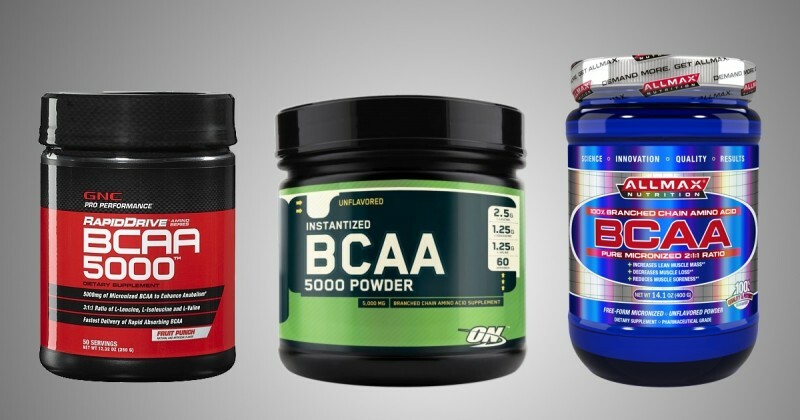 In regards to the benefits relating to mental fatigue and competitive situations, it could be argued that BCAA’s are a good idea to take before, during and post powerlifting competitions. As mentioned briefly above, supplements should be just that – to supplement a good, broad and healthy diet. Although technically possible to survive on ‘supplements’ alone, food sources of all the above nutrients will always be a better way to feed your cells.